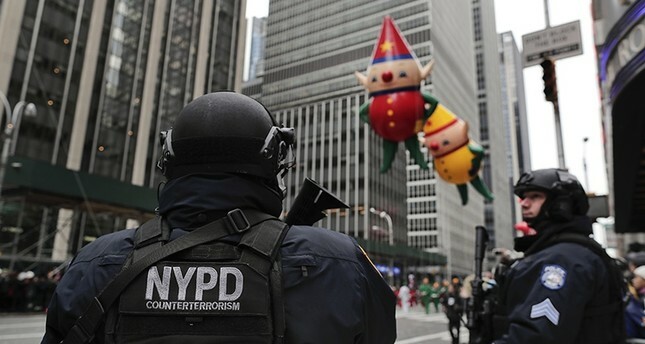 Security for New York's annual Macy's Thanksgiving Day Parade will once again be tight, especially since it comes less than a month after a deadly truck attack in lower Manhattan. Every intersection along the 2 ½-mile parade route will be blocked to traffic. And dozens of city sanitation trucks will be lined up at intersections and other strategic spots along the route to create barriers to terror. In addition, officers with assault weapons and portable radiation detectors will walk among the crowds, and sharpshooters on rooftops will scan for anything unusual. Authorities say there's no confirmation of a credible threat and have repeatedly urged spectators not to be deterred. The 91st annual parade begins at 9 a.m. and will be broadcast live on NBC.